SCHWABE USA supplies many types of Material Handling and Storage Equipment to streamline the manufacturing / converting process. The example below is used in the Flooring Industry to store and handle large rolls of carpet. 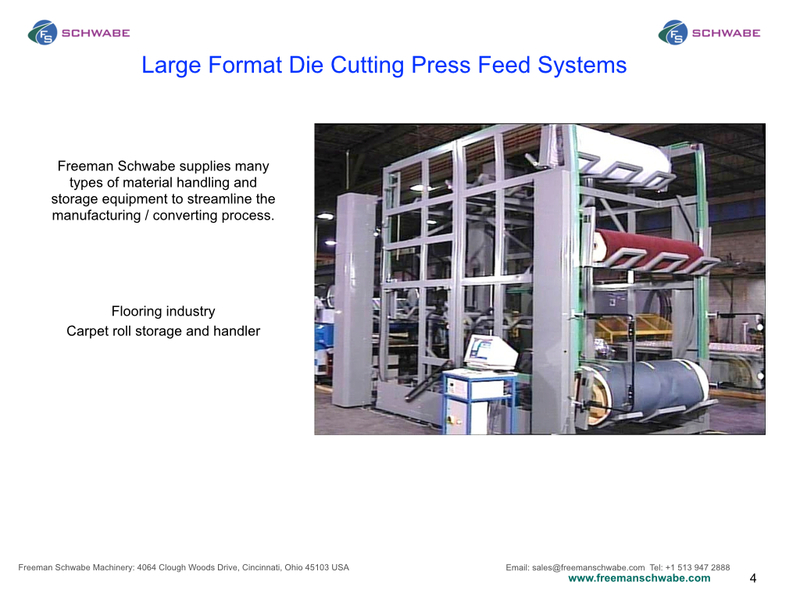 SCHWABE USA is the leading global OEM supplier of large format die cutting press. Flooring Large Area Cutting Press Carpet Storage and Feed. 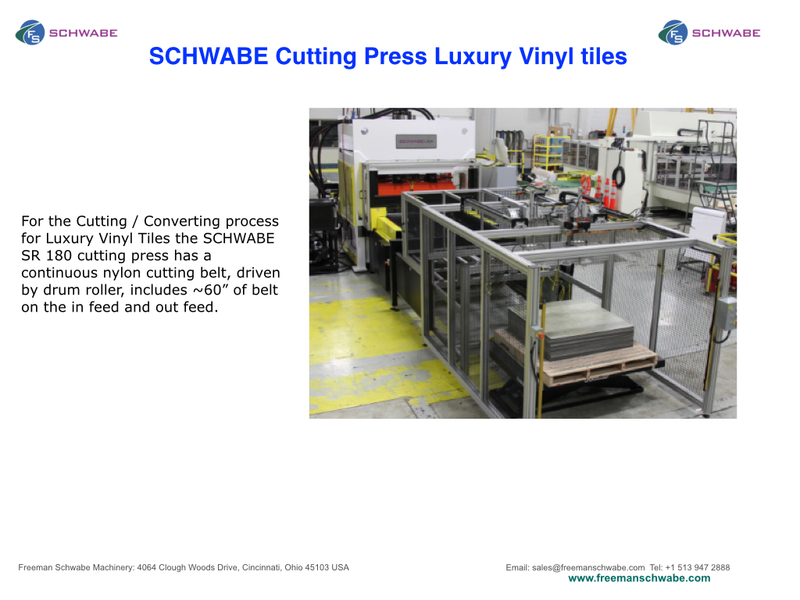 For the Cutting / Converting process for Luxury Vinyl Tiles the SCHWABE SR 180 cutting press has a continuous nylon cutting belt, driven by drum roller, includes ~60” of belt on the in feed and out feed. Slide table system to move sheets to central position for precision indexing. This entry was posted in Floor Covering, Luxury Floor Tiles cutting press and tagged Floor Covering, Luxury Vinyl Tiles. Bookmark the permalink.